Successful crisis management requires preparation,foresight, and the ability to act quickly and decisively. 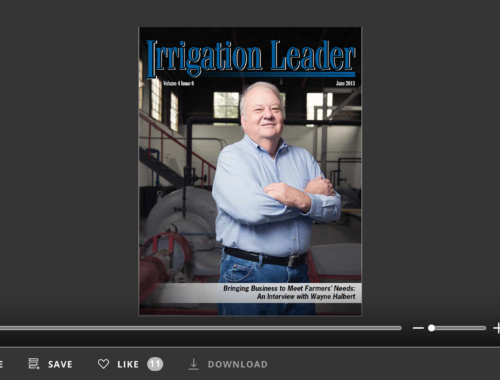 In this issue of the Washington State edition of Irrigation Leader magazine, we speak to leaders from the Quincy-Columbia Basin Irrigation District (QCBID) and the Truckee-Carson Irrigation District (TCID) about averting a crisis when Mother Nature creates a challenge. QCBID is a massive district, serving 255,000 irrigated acres, in the heart of the Columbia Basin Project. Last year, I was visiting with QCBID General Manager Darvin Fales when a lightning strike ignited a wildfire. The fire put some of QCBID’s power infrastructure at risk, threatening the operation of the district’s water delivery system. Mr. Fales recounts how the district’s backup power generators were essential in keeping the QBCID system going after the wildfire temporarily knocked out the district’s main power supply. TCID knows crisis management. It has been 10 years since the breach of the Truckee Canal, which flooded hundreds of homes in the city of Fernly, Nevada, and surrounding agricultural lands. It has been 10 tense years of investigations, accusations, and litigation, tearing at the seams of the agricultural community in northwestern Nevada. Fortunately, communities heal. And sometimes, a crisis can bring communities closer together. to dangerously high levels. 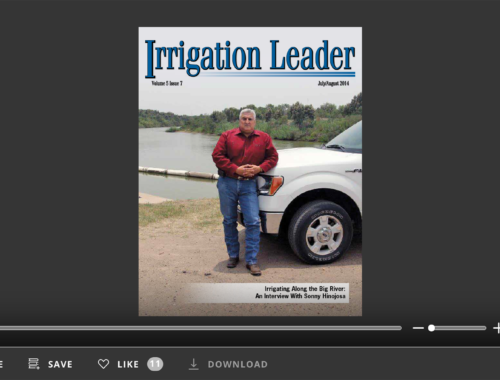 But, like all good irrigation districts, TCID, in conjunction with the Bureau of Reclamation, state agencies, and county and local government, provided leadership and real solutions to move nearly 200,000 acre-feet of water out of the Lahontan Reservoir and away from the cities of Fernly and Fallon. 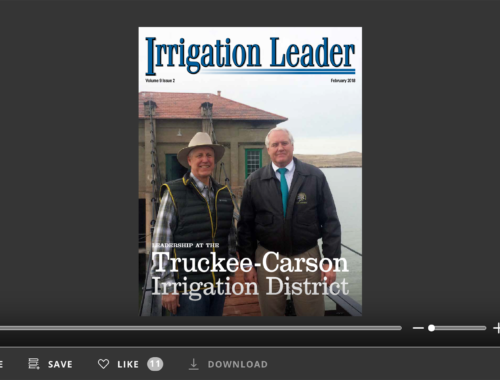 TCID General Manager Rusty Jardine and Board President Ernie Schank discuss TCID’s efforts to prevent flooding in the Lahontan Valley and preserve water for its farmers and how those efforts built good will in the community. TCID intends to build off that good will to sustain its farmers, its economy, and its community.